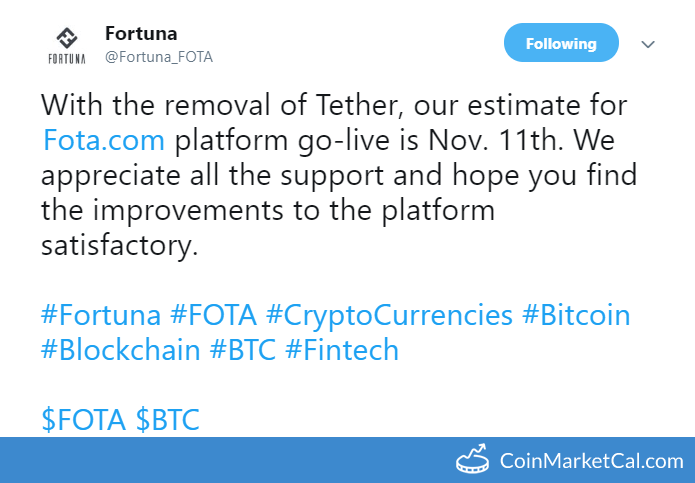 "The rebranding includes a lite redesign of our company’s logo, FOTA.io, FOTA.com, mobile application, and much more." 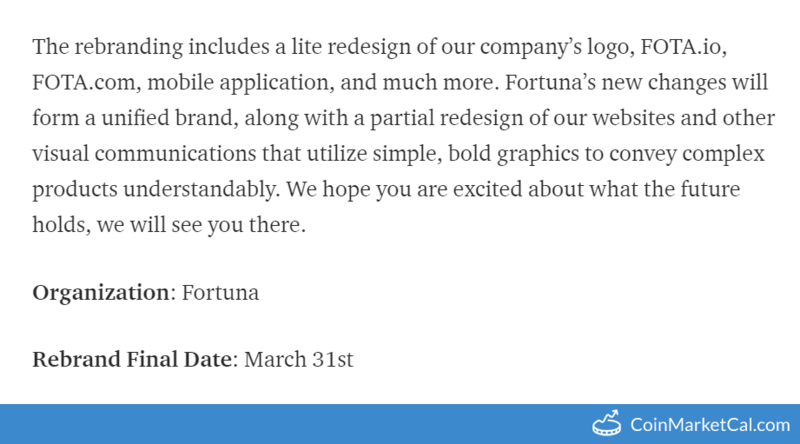 "The rebranding includes a lite redesign of our company’s logo, FOTA.io, FOTA.com, mobile application, and much more," by March 31. 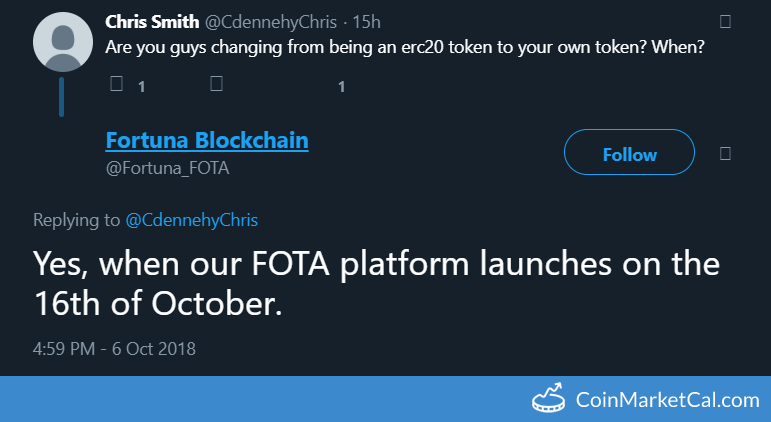 FOTA will be listed on two new exchanges (specific exchanges yet to be announced). 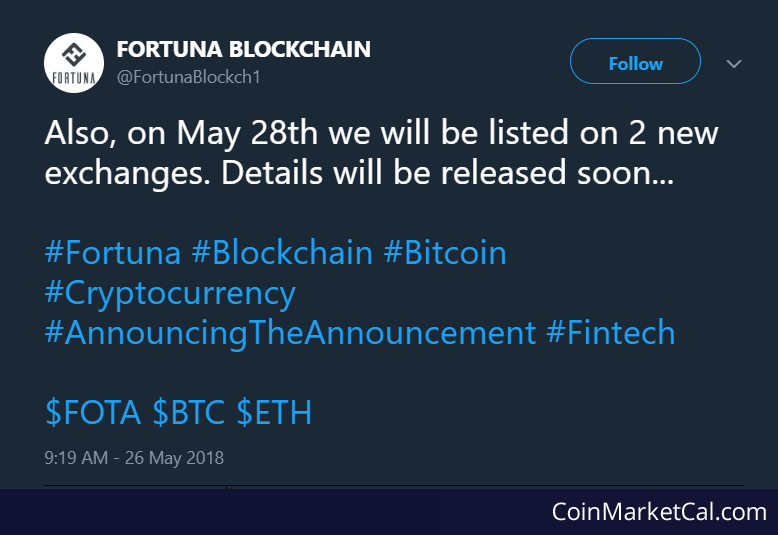 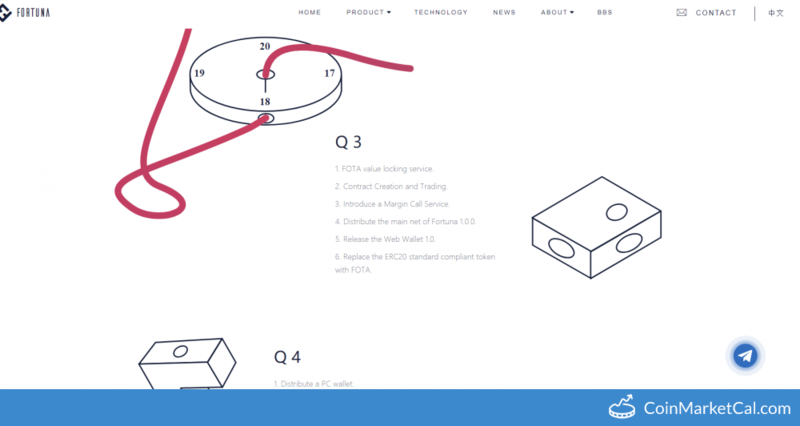 Distribute test net of Fortuna blockchain for internal testing. 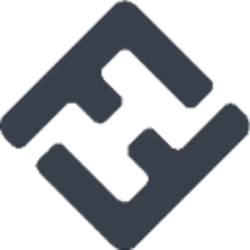 Distribute ERC20 standard compliant tokens.